It’s finally August! These long, hot days make it seem like summer is never ending. We know this time of year can feel like a drag, leaving you needing a boost to make it through the rest of the year. If you’re starting to feel like your life could use a little rejuvenation, we offer a variety of procedures that can help get you back to feeling your best. A great way to freshen up your appearance is with a facelift as it leaves you revitalized while still celebrating your natural beauty. 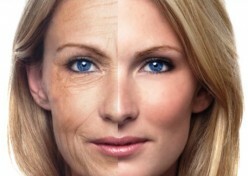 A facelift will refresh your face by eliminating the appearance of drooping facial features and loose neck bands. This facial plastic surgery procedure will restore a youthful, refreshed look to people of any age. We offer two types of facelift procedures, the SMAS facelift and the MACS facelift. The SMAS procedure involves lifting the layer of tissue under your skin (the SMAS layer) to eliminate any sagging in the face and neck. The MACS technique focuses mainly on the jowls and sagginess of the neck. The technique used for your facelift will be entirely dependent on your natural features and your preferences. During your free initial consultation, we will listen carefully to your concerns, assess your facial features, and customize your options to best provide you with a natural, refreshed facial appearance. You can see the amazing results that come from facelift procedures in our gallery. If you’re interested in a free consultation to discuss facelifts or any of our other procedures, give us a call today at (404) 257-9888!